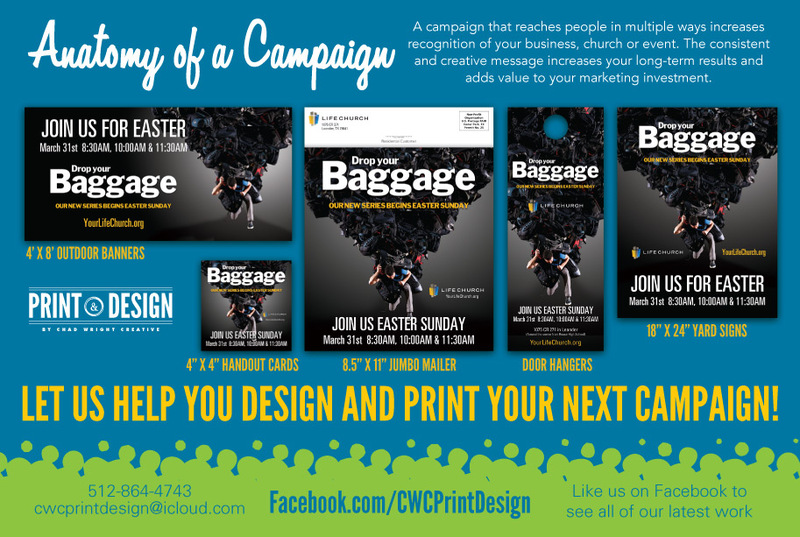 Here’s a look at a recent campaign we did for Life Church in Leander, Texas to promote their Easter services. It consisted of several different print pieces, all with the same consistent art and messages. From outdoor banners to a 25,000-piece direct mail campaign, we photographed, designed, printed and delivered every piece. The church had its largest attendance ever at 800 people.